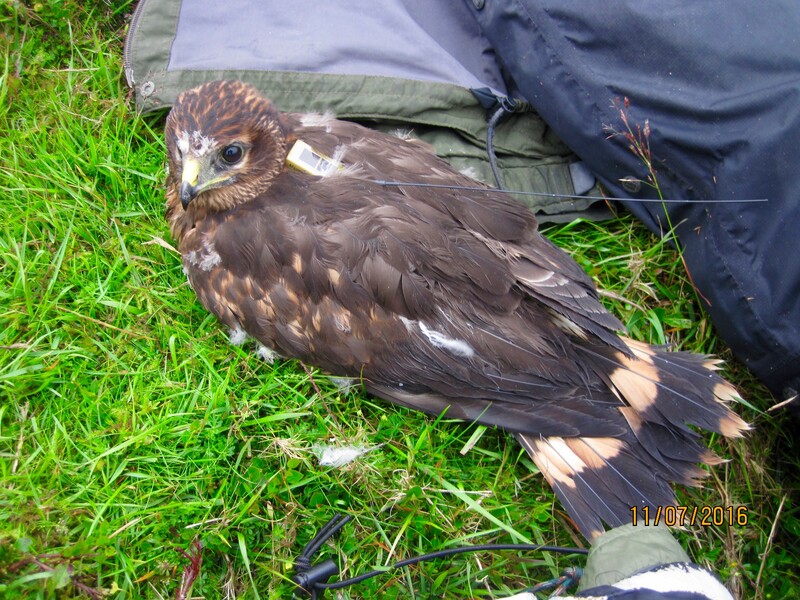 The recent recovery of Rowan, a Langholm hen harrier tagged by the Hawk & Owl Trust and Natural England, who appears to have been illegally shot in Cumbria, highlights the vital role that satellite tagging has to play in the conservation of this threatened species. These tiny devices, barely 2 cm long and weighing only 9-12g do not, of course, confer protection in and of themselves (the bodies of Rowan, Lad, Annie, and Betty are all testament to that). However they do shine a light on what is happening to these birds, helping us to better understand their movements – where they go when they leave their nests, which roosts they favour over winter, where they attempt to breed and build their nests, and ultimately, where they stop. 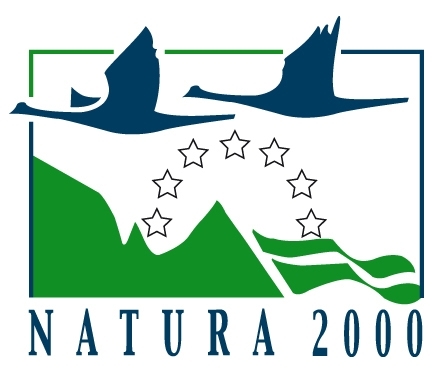 That final piece of information is the bit that gets most publicity – whether the birds die naturally, are illegally killed, or simply “disappear” – but the journeys these birds undertake to get them to that final point are often fascinating and of equal relevance to their conservation. 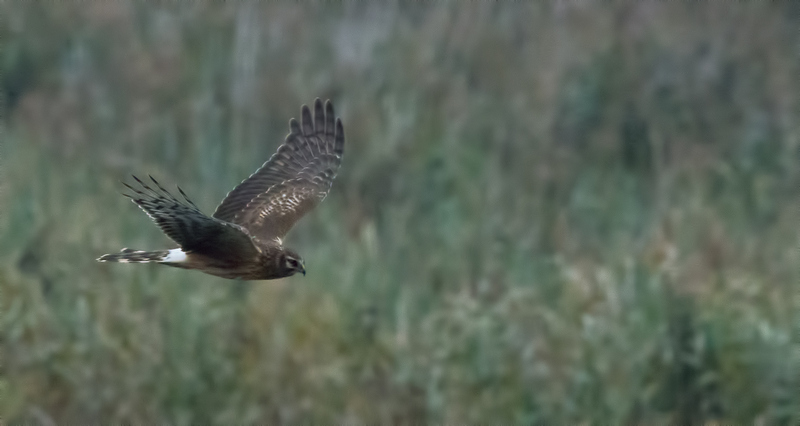 Hen harriers in particular are captivatingly unpredictable in their movements and I’d like to take a moment to share with you some of the stories of this year’s birds that are unfolding, even as I type. Named by the Society for the Preservation of the Manx Countryside and Environment, who sponsored her tag, Aalin was satellite tagged on the Isle of Man in partnership with Manx Birdlife and the Manx Ringing Group. The Manx hen harrier population declined by a whopping 49% between the 2004 and 2010 national surveys and no one is entirely sure why. 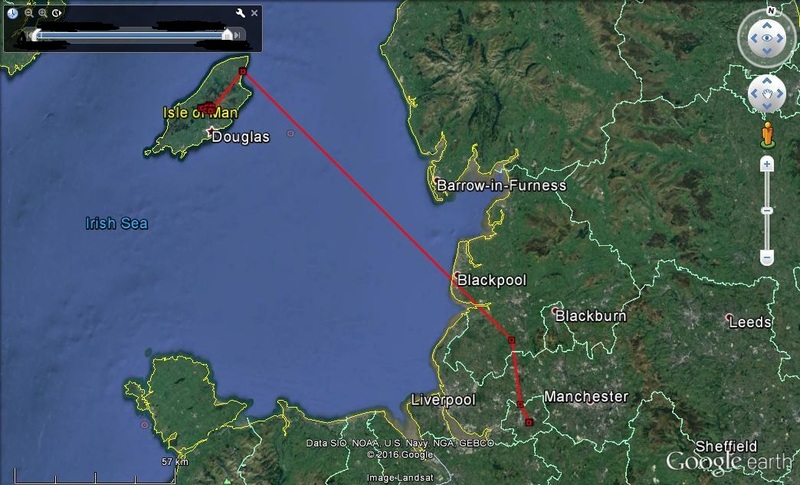 One long-held theory is that Manx birds are emigrating to the UK mainland and failing to return, but although several hen harriers have been tagged on the Isle of Man over the years, none of them have ever been recorded as leaving the island. 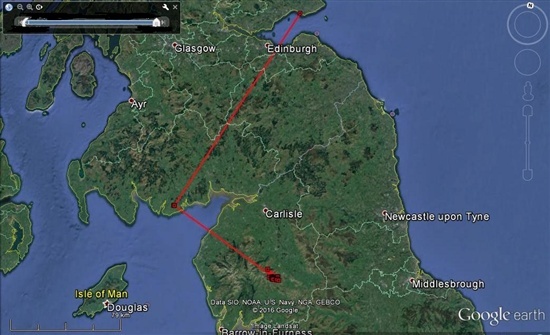 Like Harriet, Aalin stuck close to her natal site for several months after fledging until suddenly one day flying to the north of the Island, before heading straight out to sea, over Blackpool, and ending up at Woolston Eyes SSSI reserve in Warrington, where she was spotted and photographed by local birder, John Tymon. 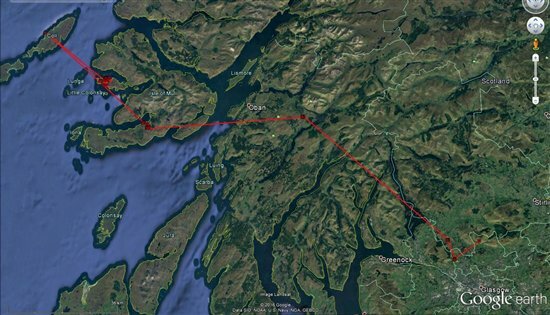 Wendy, one of two hen harriers to be satellite tagged at the Coulport MOD base, in Argyll, this year has done the reverse of Aalin and forsaken the mainland for the joys of island life over on Mull. However it’s Wendy’s sibling, Donald (named after renowned hen harrier expert Donald Watson, not the US President Elect! ), who’s made the most significant journey of all. 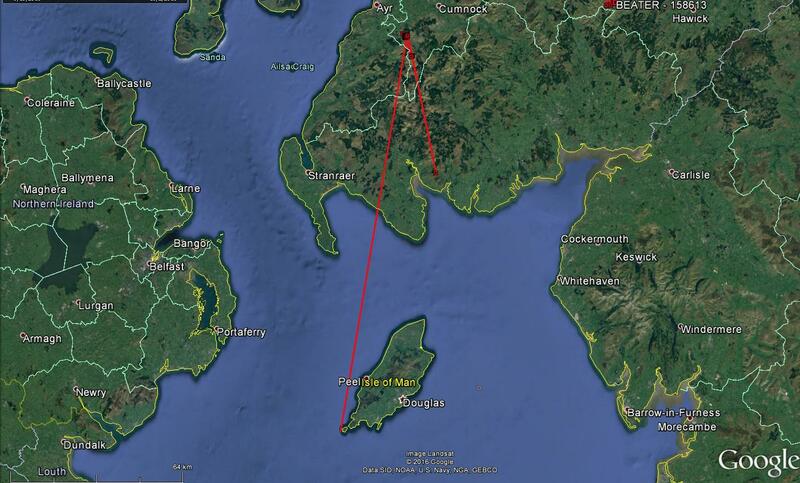 If Aalin’s recent travels have suggested the real likelihood of population exchange between the Isle of Man and the UK mainland, Donald has further confirmed it. Having spent some time exploring the west coast of Argyll, Donald crossed the water from the Mull of Galloway to the Isle of Man. 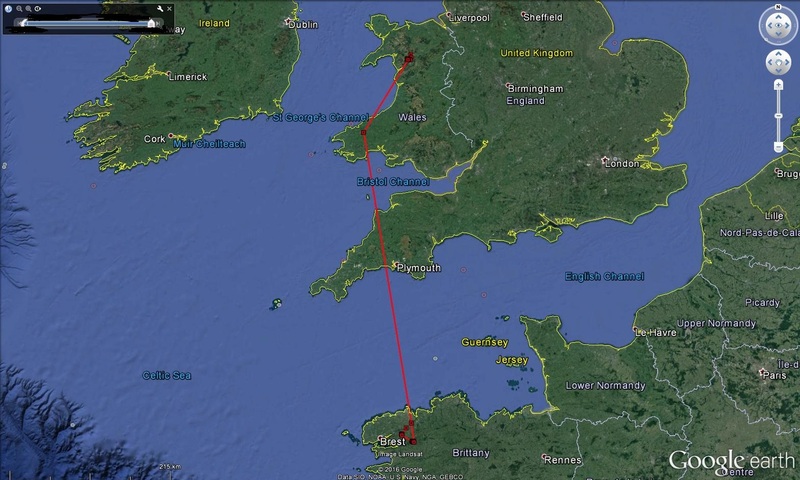 Not content to stay there however, he almost immediately took a hop, skip, and a jump across Wales, all the way to Northern France, mirroring the journey of our 2014 female, Chance. 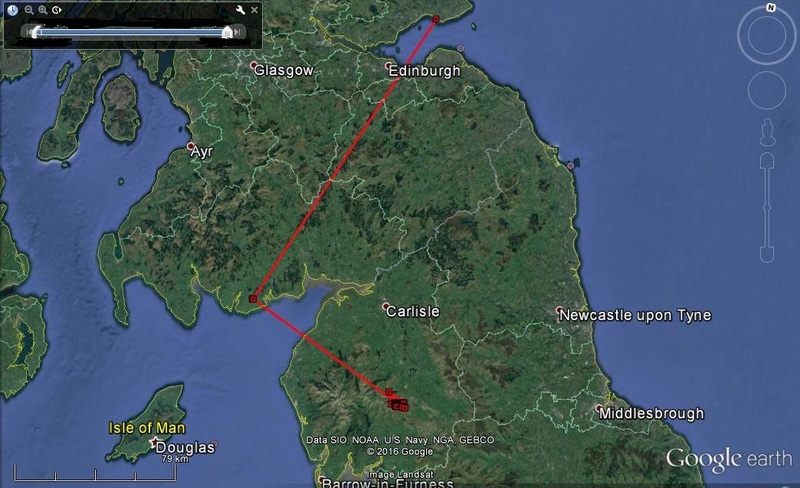 Donald is the third satellite tagged hen harrier we have recorded making this journey after Northumberland bird, Nile, in 2015. Sadly, not long after his arrival, the data from Donald’s tag showed that he had stopped moving, indicating that he had died. He was traced to an area of scrubby farmland but due to international logistics, by the time our team could reach him, the battery in his tag had run down, meaning the signal had stopped. Despite a thorough search of the area, his body couldn’t be found, so sadly, we will never know the cause of his death. Hen harrier conservation is full of challenges (understatement of the century?) and these remarkable journeys highlight the crucial point that anything which affects hen harriers in one part of their range, is likely to affect their population as a whole. Regardless of where illegal killing or disturbance takes place, birds from the Isle of Man, Orkney, the Cairngorms, Wales, Yorkshire, and the Western Isles, probably even Ireland, are all potentially vulnerable and a few bad estates can have a disproportionate impact. To truly secure a future for these birds, we need to see them protected wherever they go. This is why the RSPB will keep pushing for the introduction of a system of grouse moor licensing, to support those who operate within the law and effectively enact a targeted ban on those who don’t. By enabling us to satellite tag and follow the movements of more hen harriers than ever before, the Hen Harrier LIFE Project and the funding raised through sales of the LUSH Skydancer bathbomb, are helping us to better understand where hen harriers go and identify where they’re most at risk. Regardless of where in the British Isles they originate, we all have a stake in the future of these birds and we want to see them protected. Join us in following the fortunes of all our remaining satellite tagged hen harriers on the Hen Harrier LIFE Project website www.rspb.org.uk/henharrierlife or on twitter @RSPB_Skydancer. 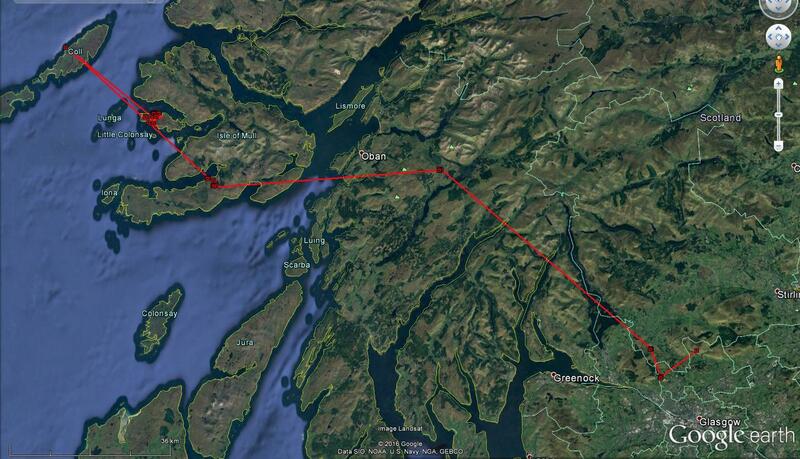 Will do it now, I know the area well so the location will be accurate...thanks for the info and blogs. Alex - thank you for the kind words. 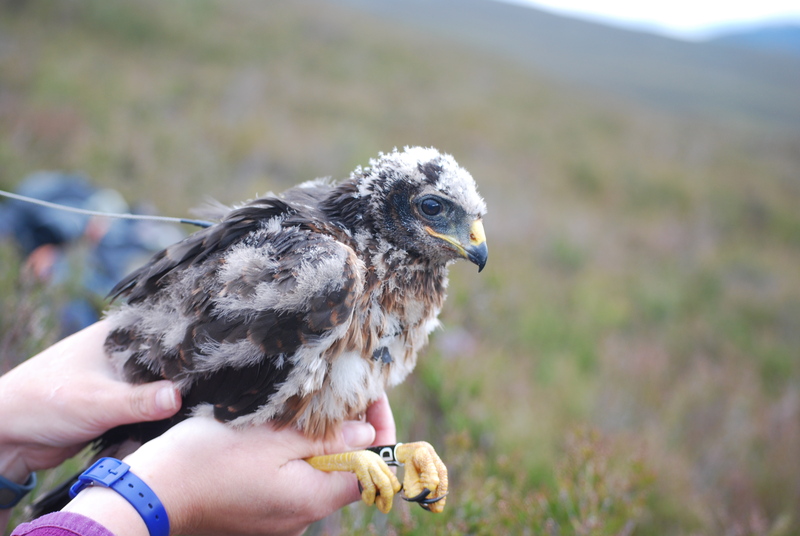 I've been working on hen harriers for over five years and every lost bird stays with me. It doesn't get easier but the way I see it, we have a choice - either to despair, our to let it harden our resolve to make a difference. I choose the latter. The LIFE project runs until 2019, so I promise there will be plenty more satellite tags to come. Alan - yes please! If you could include time date and location as accurate as possible, that would be much appreciated. A wonderful tale, Blánaid. I've only just realised that I can comment if I join the group. Your blog deserves a wider audience. Please encourage other RSPB employees to share their feelings and experiences. 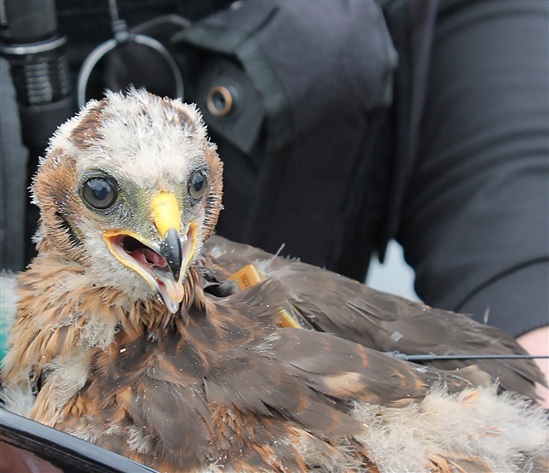 I am sometimes disheartened by the likely fate of the young hen harriers, and I imagine it is worse for you and your colleagues. I take great heart from the spotlight which is put upon the loss of each of the satellite tagged birds, but it is a shame that it requires the death of many of the young birds to expose the real truth. More tags, please.